This beautifully rehabbed Broad Ripple bungalow won't last long. It features a gorgeous kitchen that includes granite countertops, new stainless steel appliances and a granite island. The master bedroom is spacious and features a master bathroom with a custom tiled shower. There is an oversized laundry/mudroom on the main level of the home, just a few feet from the master bedroom. Talk about convenience! The two car garage opens into the fenced backyard and deck, which conveniently opens into the mudroom as you enter the back of the home. 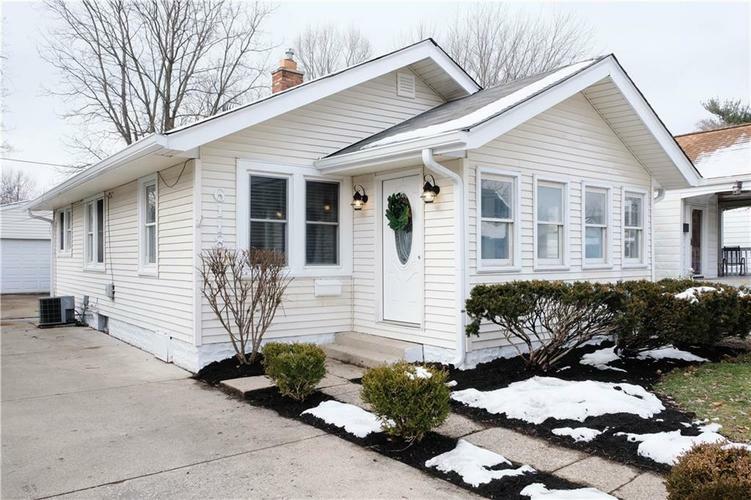 This home is a short walk to Broad Ripple Avenue and within walking distance to the Broad Ripple Park (and DOG PARK - great combo with that fenced back yard!). Directions:Keystone south to 62nd street. West (right) to Crittenden on left. South on Crittenden to house on right side. Listing provided courtesy of LIV.